It’s one thing to work out hard, to put in all your effort to reach your personal health goal. It’s another thing to work out smart, such as allowing yourself a day of rest every two to three days to allow your muscles to recover, never over exerting your muscles to the point where they hurt, or keeping your workout routines close to home. Our luxury Fort Worth apartment community at Alexan Summit grants you the opportunity to exercise both dramatically and intelligently, with several handy amenities and fun features to make the most of every leg day. 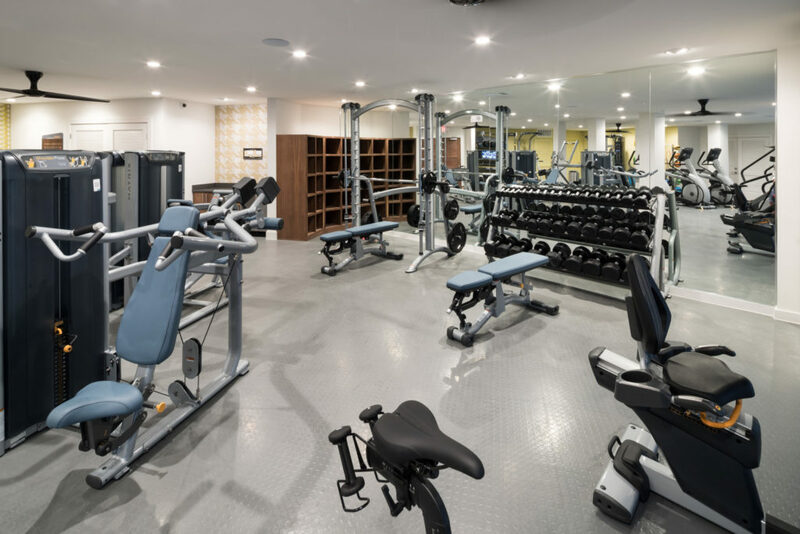 For starters, there’s no better place to start a new workout than right in our state-of-the-art fitness center. It’s full of the best strength and cardio training equipment to boost your results, along with ample space for warm-ups, jump rope, or rolling out the yoga mat for intensive stretches and yoga poses. Best of all, there’s no long-distance travel or pricey membership fee required. Prefer to step outside for your exercise? We offer several options for outdoor workouts for all our residents. Summer lovers can jump into our resort style pool and work on their backstrokes and sprinting in the refreshing waters, and then step out and dry off under the warm sun on the spacious tanning ledge. Our bike storage and repair rooms in our parking garage make it easy to bike around downtown Fort Worth for fitness and fun. Finally, we’re only a few miles away from some of the best parks and jogging trails in the city, including Trinity Park. Bring the most effort and joy to your workouts here at Alexan Summit. Stop by and see our fit and friendly luxury Fort Worth apartment community this weekend.